When you choose to work with BNY Mellon's Pershing, you gain access to a wealth of resources and global team of experts dedicated to helping you grow your business. What truly distinguishes us is our commitment: we are personally invested in our clients’ success. Pershing helps clients improve profitability and drive growth, create capacity and efficiency, attract and retain talent, and manage risk and regulation. 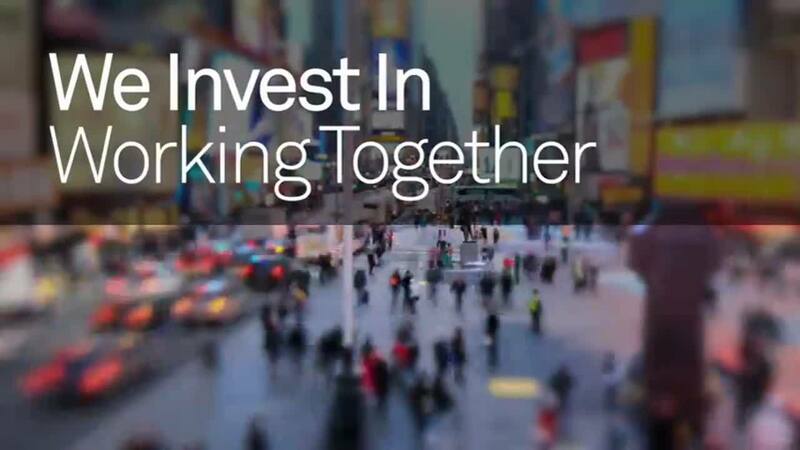 With a network of offices worldwide, Pershing provides business-to-business solutions to clients representing approximately 7 million investor accounts globally. Pershing LLC (member FINRA, NYSE, SIPC) is a BNY Mellon company. BNY Mellon is a global investments company dedicated to helping its clients manage and service their financial assets throughout the investment lifecycle. BNY Mellon delivers informed investment management and investment services in 35 countries. BNY Mellon is recognized as one of 29 global systemically important banks (G-SIB) in the world*, which means we adhere to a higher level of liquidity and capitalization requirements along with stricter regulation. Furthermore, as a publicly owned company, BNY Mellon embraces a heightened level of independent evaluation of its systems and financial health. Our G-SIB status and public ownership underscore the fact that our clients’ assets are backed by much more than just words. The Pershing family of companies provides a seamless array of solutions for clients around the globe. BNY Mellon’s Pershing Advisor Solutions is a leading provider of business management, execution and financing solutions with custody at its core. Our clients are professionally managed, growth-oriented wealth management firms and institutional providers that serve clients with complex financial lives. BNY Mellon’s Albridge is a leading provider of enterprise data management solutions that deliver a single view of an investor’s broad range of assets. BNY Mellon’s Lockwood Advisors, Inc. is a leading provider of managed account solutions. BNY Mellon’s Pershing Limited and its subsidiaries provide broker-dealers, asset managers, intermediary firms, IFAs, and financial institutions across EMEA with a comprehensive range of products, services, and solutions. BNY Mellon’s Pershing Securities Australia Pty Ltd (ABN 60 136 184 962, AFSL No. 338264) provides a market leading third-party clearing, settlement and execution service in Australia. Pershing LLC (member FINRA/NYSE /SIPC) is a BNY Mellon company. Pershing Advisor Solutions LLC, member FINRA, SIPC, is a wholly owned subsidiary of The Bank of New York Mellon Corporation (BNY Mellon). Clearing, custody or other brokerage services may be provided by Pershing LLC, member FINRA, NYSE, SIPC. Pershing Advisor Solutions relies on its affiliate Pershing LLC to provide execution services. Bank custody and private banking solutions are provided by BNY Mellon, N.A., member FDIC, a wholly owned subsidiary of The Bank of New York Mellon Corporation. Advisor Solutions refers to the brokerage custody business of Pershing Advisor Solutions LLC and/or the bank custody solutions business of BNY Mellon, N.A. Pershing Limited is an affiliate of Pershing LLC. Registered Office: Capstan House, One Clove Crescent, East India Dock, London E14 2BH. Authorised and Regulated by the Financial Conduct Authority in the UK, no. 124415. Pershing Securities International Limited is regulated by the Central Bank of Ireland. Pershing (Channel Islands) Limited is regulated by the Jersey Financial Services Commission. Pershing Securities Australia Ltd. (ABN 60 136 184 962, AFSL No. 338264) holds an Australian Financial Services Licence and is a market participant of the ASX and a clearing participant of the Australian Clearing House and is an affiliate of Pershing LLC. Albridge Solutions, Inc. is an affiliate of Pershing LLC. Lockwood Advisors, Inc. is an investment adviser registered in the United States under the Investment Advisers Act of 1940, an affiliate of Pershing LLC and a wholly owned subsidiary of The Bank of New York. Pershing has been committed to the safekeeping, servicing, segregation and reporting of client assets for 80 years. Pershing is proud to be a part of BNY Mellon, the investments company of the world. Recent press releases, Pershing press coverage and media contact information.